Embracing how to best use WordPress for the success of your business and your unique goals is nothing short of a wise investment in your future success. 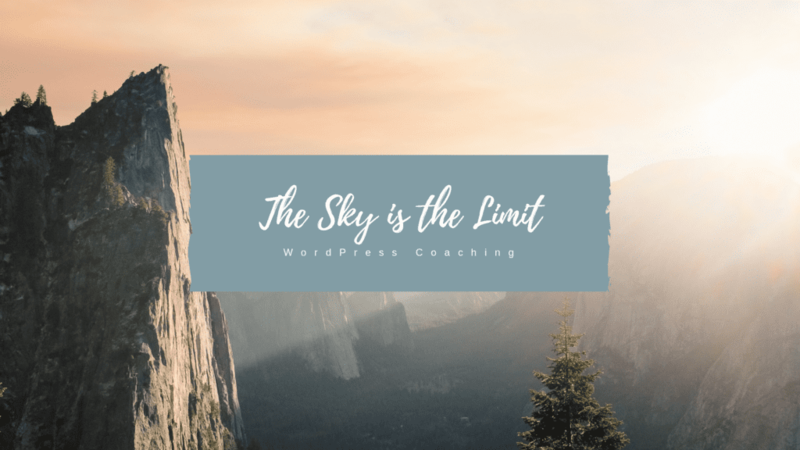 Your very own WordPress Coach with 20+ years of successful online business experience; available & on call when you need that extra support — Priceless! As with learning anything new, there will be obstacles you will face that will be frustrating and sometimes downright discouraging. By minimizing your learning curve and your expedite results! Until you get up to speed, why not have your own experienced WordPress Coach on call? You will receive real-world experienced and personalized hands-on coaching that you literally will be hard pressed to find elsewhere. My advice will be comprehensive in addressing your most important specific inquiries/concerns with actionable information and details you can put to work now. Review and respond to specified action items. Provide guidance, steps and coaching on targeted tasks. After any requested tweaks and issues are addressed, I will offer additional recommendations. Having this level of experienced support will give you the competitive edge you need to succeed online! You can integrate recommendations yourself with my help or have me handle them for you. Smart and successful business onliners do not waste valuable time trying to figure out things they do not yet have experience in — work with me and that will come! Once you are more comfortable with the technicalities of WordPress, we can include my Business Coaching to cover all the bases. Who exactly seeks out a coach? Winners who want more out of life.